Well-known authors, W. Bernard Lukenbill and Barbara Froling Immroth, provide an introduction to a difficult topic. 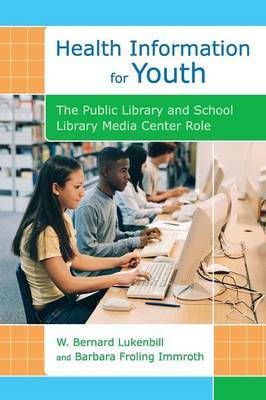 This book covers the general status of youth healthcare, the issues and concerns providing a model of health delivery, and their relationship to the school and public library. Public and school librarians and their clientele will appreciate this straightforward approach to finding and selecting consumer information on health related topics. School librarians will find resources to help teachers who are being asked to teach consumer health classes. Students, librarians, teachers, parents, and caregivers in need of information that addresses health issues encountered by youth will find it in this inclusive book on the topic. Public and school librarians will appreciate discussions of issues related to the general status of healthcare for youth, delivery systems, and locations of consumer information and methods to select and manage the collection of health information materials.